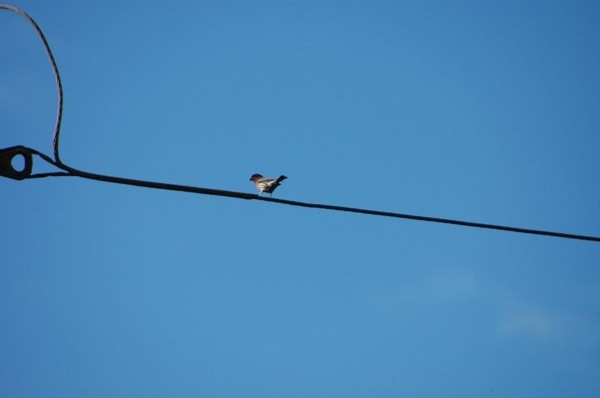 My daughter, who I call Hapa Girl here on my blog, took these photos of bird(s) on a wire. I thought it’s fitting to post these today as it reminds me to be peaceful in all circumstances. I love the blue sky in the background. No filter was used in this photo at all. This was taken in front of our house via the dining room window. 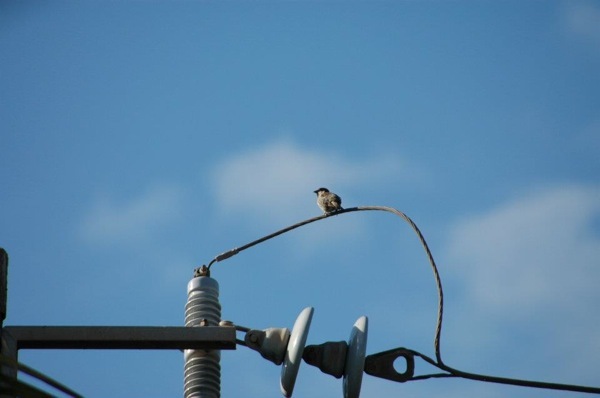 Right now, as I am typing this, there is another bird on a wire there … exactly like this photo. Life is good. 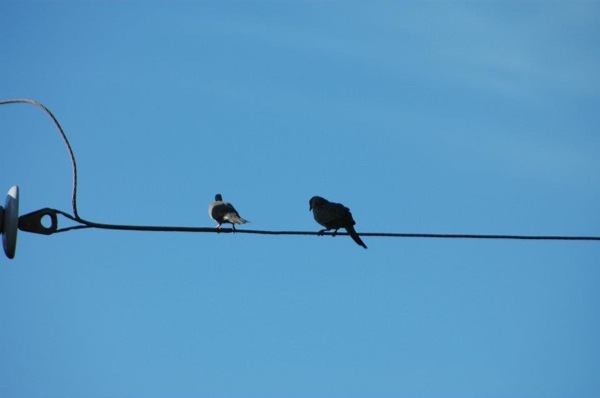 And life is even better when we wires are shared with a friend. It’s Sunday morning here and I am getting ready to go to church. My life is pretty hectic most of the time, and and photos like these reminds me to slow down …. Have a peaceful Sunday everyone! Hope you have a great day Liza! I was at work all weekend, and those pics made me feel more relaxed! Must remember to slow down! That bluesky sillouetting the birds is beautiful! The photos just remind me of the past of being home watching the birds on the power lines where I grew up on the west side of Oahu (Nanakuli) what we used to see was butterflies a lot of butterflies (monarch butterflies) that was in the past today now not so many butterflies!?!?…. Not so peaceful people here all ways rushing here and there, I sure miss the good old days…. Have a great day in Maui, coming from the west of Oahu Aloha!…..
Beautiful photos! One of the things I love best about my Maui life is waking up not to an alarm but to the hundreds of chirping birds outside in our monkey pod tree (there are even parakeets out there, surely escapees from domestic digs).